We don't have to tell you that video recording with a DSLR is easier than ever, or that the quality you can expect is incredible. 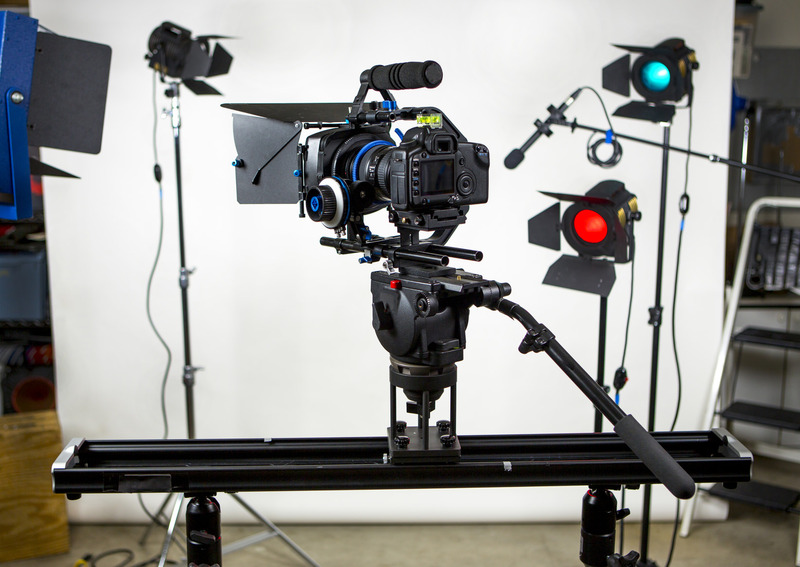 Cinema-standard recording is a reality with modern digital cameras. The fact still remains that DSLR frames aren't really built with movies in mind. Focusing while panning isn't very easy and the sound quality you can expect from the built-in microphone may leave a lot to be desired. Not only that, but camera bodies are designed to let you hold them as steady as possible while not moving. 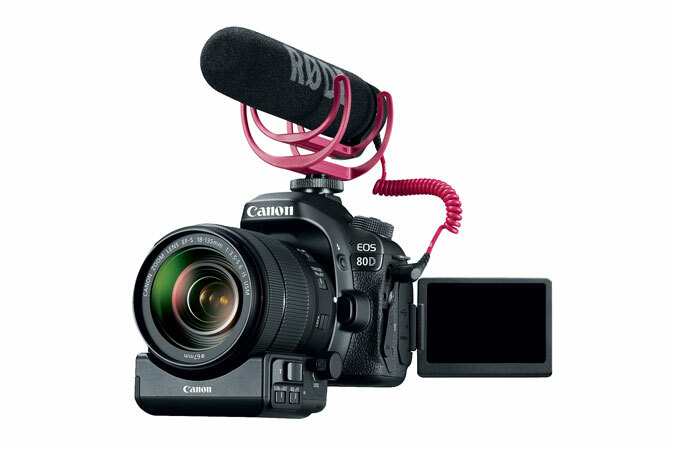 Fortunately, there are a number of great products out there to help you utilize your DSLR's video capabilities to their fullest. Let's take a look at a few. Here's one for anyone considering a new DSLR with both photography and videography in mind. 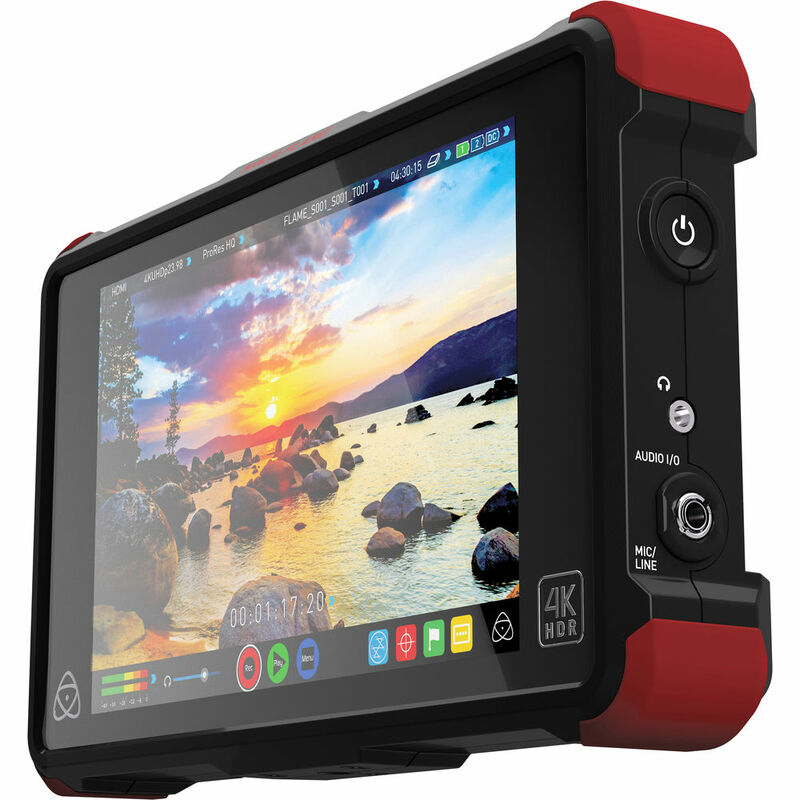 It includes a camera with all the right features for both, a great zoom lens for photos and cinema, a power zoom adapter and a powerful video microphone, with all the peripherals and more. With Wi-Fi and NFC capabilites, you can even share your videos and photos right away. There's simply too much in this kit to begin to describe here. What's more, the kit is priced so low you can't afford not to start with it! Get all the details and grab yours here. Smooth motion is a critical part of professional-quality recording. Sliders are one of the staples of the industry because they provide a sure and stable means to get that smooth motion. 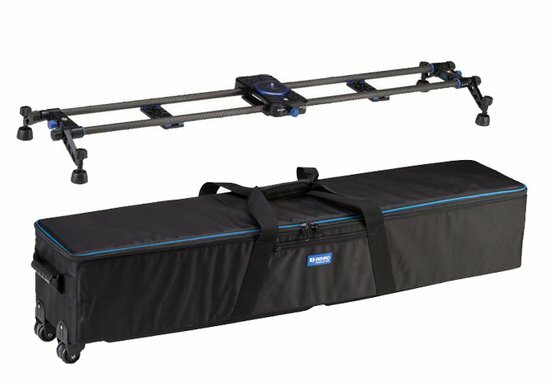 This beautiful, portable deal-rail slider is lightweight, strong and quiet, thanks to the carbon fiber construction and 4-bearing carriage. It supports up to 17.6 pounds and allows a full 23.6” of travel. 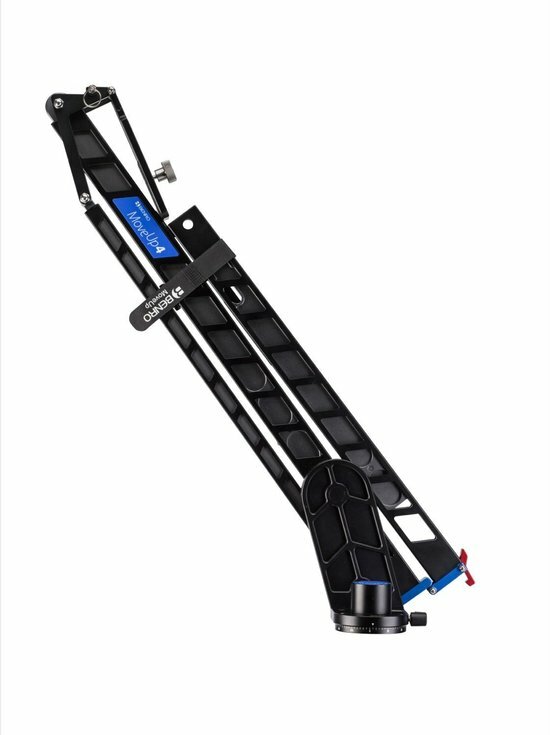 The slider can be center mounted or supported with its built-in adjustable feet. It comes with a sturdy, wheeled carrying case, too. Find out more here. When simple side-to-side movement won't get the job done, a travel jib is the answer. The arm provides silky-smooth movement through almost any angle. It supports up to 8.8 pounds and has a vertical reach of just over 6 feet. You can attach a monitor to one of several threaded mounting points, so you can see what your DSLR sees with no guesswork. In between shoots, it folds into a small package that's a perfect companion for your compact tripod. Get the details here. All this motion means your camera's LCD screen isn't going to be big enough for you to see all the action. What's more, it doesn't have the dynamic range you need to rally judge how your movie will look over HDMI. Here's the solution and it monitors your audio, too! If you're serious about cinema quality, you really want to take a look at this. We'll keep bringing you the latest and greatest gadgets and gear for photography and video production, so check back often. Meanwhile, when you need equipment, check with our friends at Hunt's Photo and Video for outstanding customer service and great prices on the best gear around.